Tickets will be available on the day of the event. Visit us at www.DellossoFamilyFarm.com for more details. 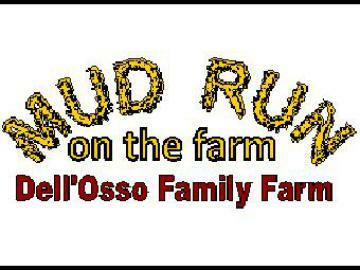 Register here for entry tickets and wave times to MUD RUN ON THE FARM. If you experience difficulty with your purchase call 209-679-1710 for assistance. Must be 12 yrs or older to participate. 12 and 13 year olds must be accompanied by a paying adult participant. Note: After you complete your on-line registration, you MUST print your tickets or have them on your smartphone and bring it with you to the Country Store packet pickup area in order to get your bib. ID is required to receive packet. We do not mail/ship your tickets. All sales are final, entry fees are non-refundable and non-transferable. Packets need to be picked up at least an hour before wave time.